We didn’t take a lot of time to really shop Florence. Our schedule was so full of trying to see all the sights and the art that there really wasn’t a lot of time. Additionally, we pretty much used up all our funds paying for airline tickets, entrance fees, taxis, and food. And that was even with Grandpa and Grandma paying for most of it. The truth of the matter is that the American $$$ is just not that strong and Europe is expensive. Nonetheless, we did manage to shop a bit. I found wonderful things in Lucca, which I will blog about later. For today, I want to tell you about an amazing little shop in Florence called Alberto Cozzi. Our tour guide recommended this little shop, and luckily, it happened to be right by Il Latina, where we were going for dinner anyway. This is a small shop dedicated to handmade books and paper. They also carry classic Florentine prints for wrapping paper, pens, notebooks, and photo albums. 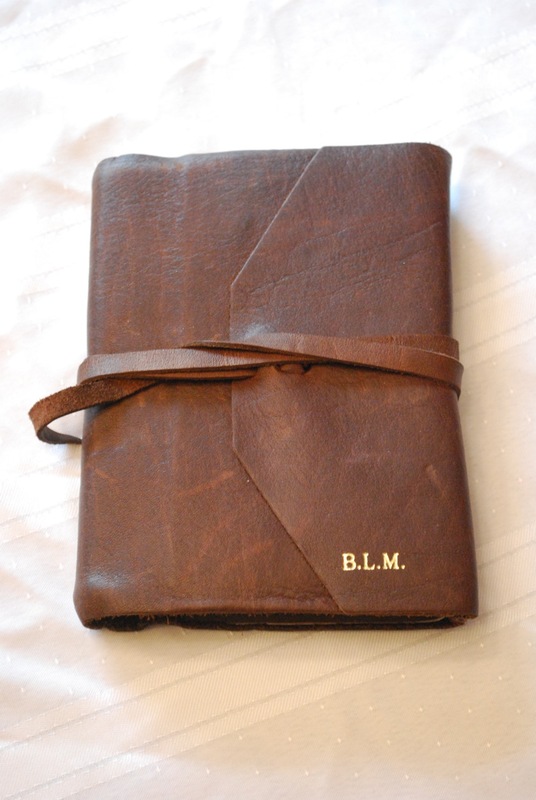 Some of the books are simply covered and assembled by the shop; other books feature handmade papers and leather. For bibliophiles, this store is a dream come true. If you are still excited by school supplies, then this shop epitomizes wonderful handmade quality that would get most book lovers drooling. In addition to the content of the store, which you want to touch and love all day, the proprietors of the store are completely charming, helpful, and speak beautiful (albeit accented) English. They answered all of our questions, and unbeknownst to us, kept the store open late. Not once did we feel we were being rushed out of the store. They also offered us a 10% discount if we paid in cash rather than credit card. Once you purchase your items, they will emboss them in gold lettering right before you eyes using old-fashioned printing equipment. Then they lovingly wrap your purchases in gift paper and secure with ribbons. Like Il Latina, you are not just “eating.” You are not just “consuming,” you are taking a piece of the lovely store owners with you. You remember them because they are so kind, and their product is of such high quality. In general, that is something I just loved about Italy. Instead of massive stores filled with mass produced goods that are largely imported, you get shop owners who make their own product and have been doing so for generations. There is a sense of pride and quality that can sometimes be difficult to locate here. Since I live in a small town we are lucky to have a bit of that available to us, and I regularly patronize our farmer’s market for handmade soaps and locally collected honey. But unfortunately, Wal-Mart is still the main hub here in Idaho. Here are some pictures of the book my husband bought. 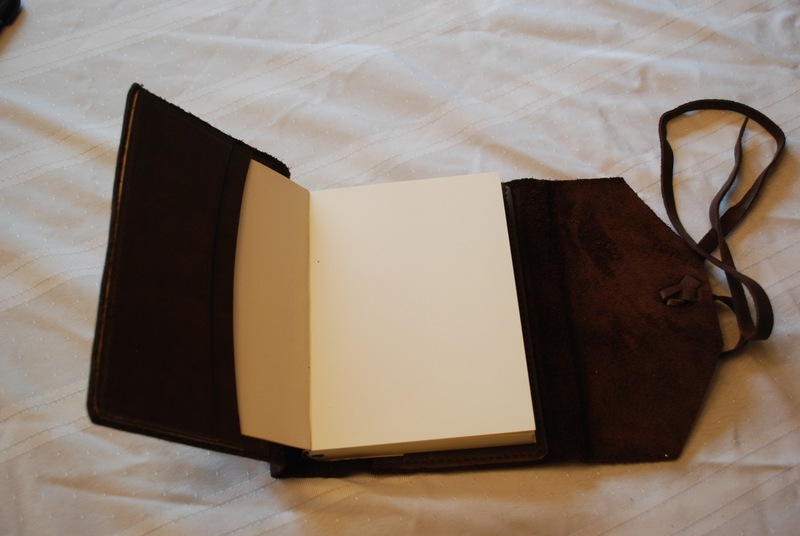 It features handmade leather and replaceable blank-page inserts. The embossing is done in pure 24 carrot gold leaf. If you ever go to Florence and are a bibliophile, stop by the shop. You won’t regret it, although when you leave your pocketbook might be a bit lighter. The shopping is Italy is wonderful. I can’t wait to hear about your experiences in Lucca. Before I write my post I am scouring my brain….do you know of a shop in Lucca that specializes in pajamas? We bought several pair there, and they are the softest, most wonderful pajamas I have ever owned. The shop also had towels and linens, but mostly pajamas. I would love the name because I forgot it! Yes, I think more shopping for me is in order!